Microsoft's Windows Fall Creators Update may be upon us, but there's a second game in town: Microsoft's upcoming Xbox One X game console. In preparation for its upcoming launch on November 7, Microsoft began pushing what it calls its Fall Update for the Xbox One to consoles on Monday. Though the update contains a number of different changes, the primary focus is to help gamers prep for the upcoming Xbox One X launch. With that in mind, let's look at what the new update adds. Xbox One owners need to transition their older Xbox One games to their new console, but the last thing they want to do is re-download them via the cloud. Fortunately, the new Fall Update allows users to back up their games and settings onto an external hard drive. 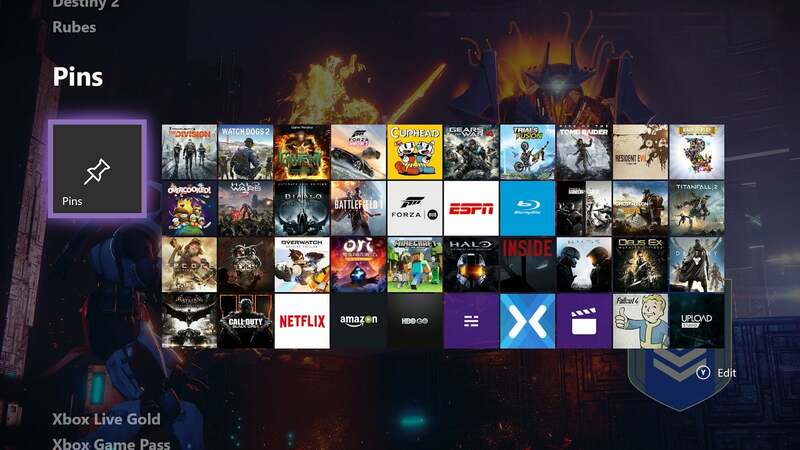 During the setup process for the Xbox One X, uses can connect their drive to the new console and bring all of their content over at once. Unfortunately, the problem with the scenario above is that the typical Xbox One owner has filled their console's internal hard drive long ago. Games from Xbox Games with Gold (now four free games per month), combined with free games from the Xbox Games Pass, mean that that the external hard drive is already occupied. Here's how network transfer for the Xbox One X will work. To solve that problem, there's network transfer. Instead of using the time-tested "sneakernet" process of carrying an external hard drive back and forth between consoles, network console allows you to transfer games between consoles using ethernet cables or Wi-Fi. Either way, it's much faster than downloading games from the Store. One of the advantages of buying an Xbox One X is that some games you already own may be Xbox One X Enhanced: The developers have agreed to author additional high-definition content for Xbox One X owners. Unfortunately, there's no fixed schedule for when that content will become available, or how much space it will consume. 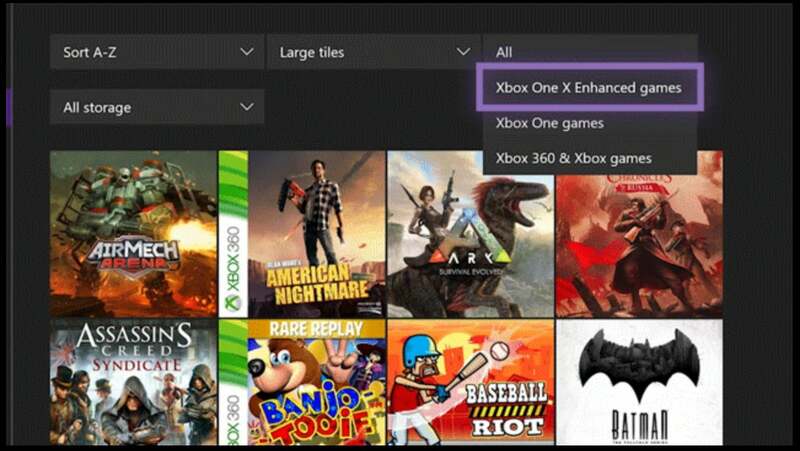 Your Xbox will show you with games are Xbox One X Enhanced. The Fall Update treats the upcoming 4K content as just another update, patch or game. Users can "preload" the 4K patches if they're available before the Xbox One X is. After the launch, users will be able to pause, defer, or even opt out of 4K content. Microsoft designed Game Hubs as a focal point for each game. Now you'll see a summary of all the content available on a single page. Can't figure out something?Xbox Assist is here to help. 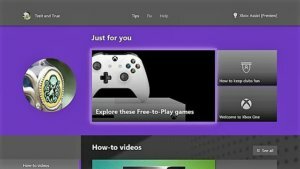 Part of the new user interface within the Xbox Fall Update is based on the concept of large "blocks" of content that can dominate the page. 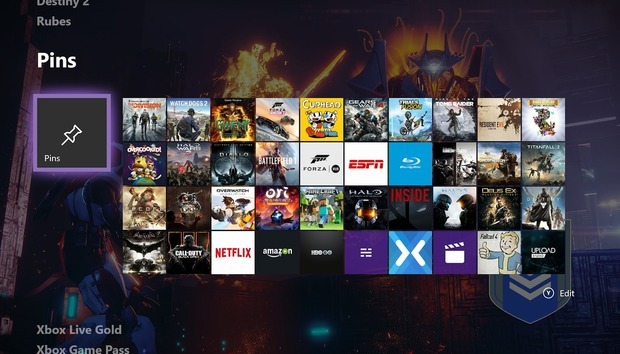 You can rearrange these blocks however you choose, Microsoft says. Microsoft's Xbox Fall Update now allows up to 40 pins. Microsoft also extended the number of shortcuts, or "pins," that you can have on the screen at any one time. Pins can connect to apps, games, Xbox Live Gold, or other shortcut. Up to 40 of them can be on your screen, arranged any way you want. The built-in GameDVR will now be able to capture up to 4K/HDR screenshots and game clips on Xbox One X, and you’ll be able to capture content directly to an external hard drive. If you do have the bandwidth to perform high-definition streaming, you can upgrade your Mixer broadcast to support it.